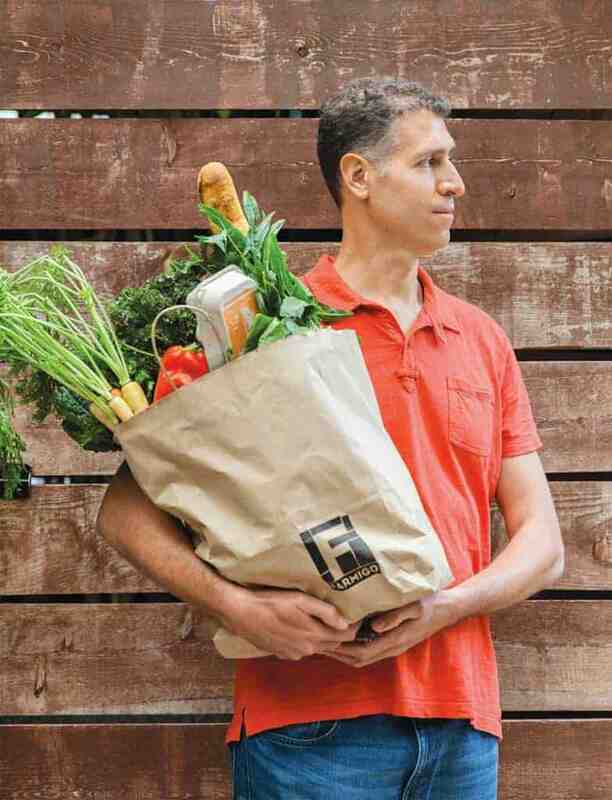 Hacking the grocery supply chain: Good Eggs founders Alon Salant (left) and Rob Spiro (right) are on a mission to overhaul the food system, one brown bag of organic, seasonable, sustainable, local food at a time. Photo by Alanna Hale. Meet the good eggs behind digital grocery platforms designed to disrupt the supermarket system at a price people can afford. In the fourth part of our series on the cost of food, we examine online ordering services that have clicked with grocery customers; some even want to compete with brick-and-mortar businesses. Remember the milkman? He’s back—sort of—in the form of digital start-ups that want to disrupt the supermarket system and deliver good grub to your door. From AmazonFresh to Zesty, online platforms are popping up all over the country. 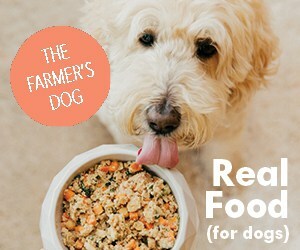 They offer the promise of farm-fresh food or fully cooked meals via a convenient click. Some digital edible evangelists even declare that in-store grocery shopping could go the way of the dodo. 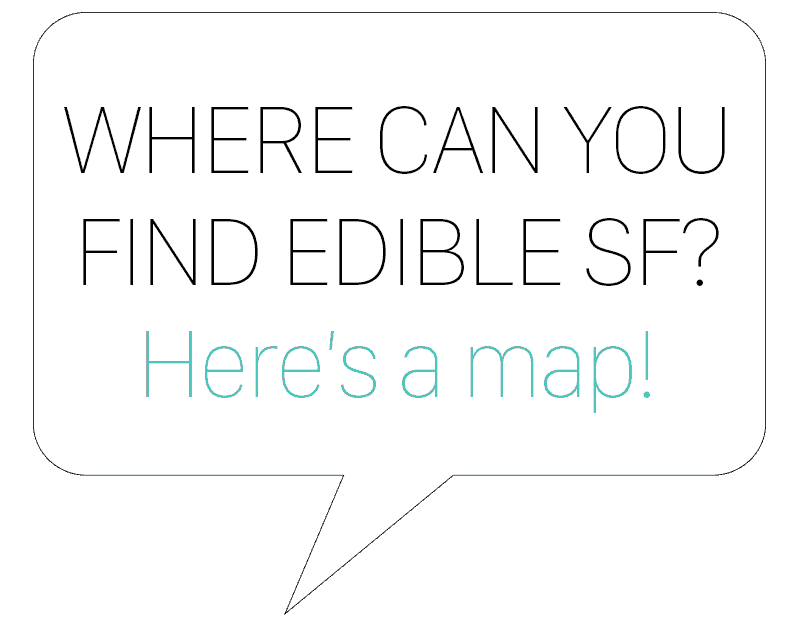 San Francisco may be ground zero for these web-centric culinary experiments. But are these efforts—backed by billionaire Silicon Valley venture capital types—sustainable? And who do they really serve? Some online food offerings clearly target the well-to-do who can outsource many aspects of their lives. But others have loftier, socially conscious goals: They want to scale up and become a solid revenue stream for small, local producers and an accessible alternative grocery shopping model for people at all economic levels. But can they? Time—and a ton of code, cash and conceptual tweaking—will tell. Oh, and these tech-fueled, food-focused enterprises want to make money, too. The food and ag business, with its inefficient, antiquated distribution methods, is ripe for a major makeover, say industry watchers. Online grocery shopping isn’t new. Remember Webvan? The Bay Area–based digital delivery operation infamously flopped when it attempted to expand nationally during the dot-com bust of the early 2000s. Webvan might have been ahead of its time. Following its failure, though, few thought that such Internet-activated courier services, complete with warehouse, inventory and transportation costs, could make a go of it in the grocery space. Or get funding. But that was back in the olden days. We’re talking circa 1990s, when not even half of American households had access to the Internet. Today, 98% of homes are connected to high-speed broadband. And Webvan was long gone before smartphones were even a thing; now 58% of Americans own one. In 2014, instant access and gratification are woven into the algorithm-based, secret sauce software strategies built into these virtual platforms competing with brick-and-mortar grocery stores. Consumers’ resistance to shopping for groceries online is fading, and how: According to the firm Fusion Marketing, there’s been a 200% increase in consumers’ willingness to buy groceries online in the last year, up from 4% in 2013. Shoppers aren’t spending a lot—typically under $25—but they’re testing the waters. The U.S. digital grocery business is expected to become a $9.4 billion industry by 2017, predicts the research outfit IBIS World, which forecasts annual growth of 9.5%. Currently, online shopping accounts for 3.3% of the $500 billion U.S. grocery business; the market for online grocery shopping could expand to 11% of grocery spending in the United States by 2023, according to a survey last year of more than 22,000 shoppers by retail consultancy Brick Meets Click. Even Webvan founder Louis Borders is working on a new grocery delivery start-up. And San Francisco–based upstart Uber is experimenting with expanding beyond delivering people to delivering things, including food. Not surprisingly, in the tech-savvy Bay Area online shopping already accounts for at least 6% of total grocery spending, according to Brick Meets Click principal Bill Bishop. Locavores want their heirloom tomatoes, raw milk and grass-fed beef and they want them brought to the door at the tap of a mouse. So step away from that grocery cart. The brave new virtual world is intent on shaking up shoppingland. Meet web-based players Good Eggs, Instacart and Farmigo, all working to get home cooks to buy their kitchen staples online in San Francisco and beyond. From day one, the guys behind Good Eggs were talking food revolution. 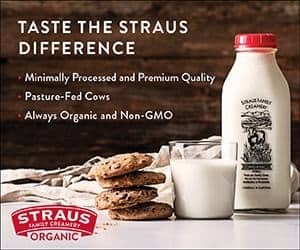 They want nothing short of a fundamental shift in the industrial food chain, bloated, as they maintain it is, with big stores selling far too much low-quality, cheaply made packaged crap in a supermarket system that encourages waste. Co-founders Alon Salant and Rob Spiro, two tech heads with a fondness for food and farming, want to make it easier for consumers to buy organic, seasonal, sustainable food from local producers. That’s their mission and their mantra. Good Eggs offers farmers market quality food minus the trip to the actual market. And they provide more produce variety and a greater range of products than most community-supported agriculture (CSA) boxes ever could. But the pair had to modify their radical concept to deal with reality early on. Launched in 2011, initially they operated on the model that it was the vendors’ job to get food to customers. That didn’t pan out so well for the pie makers, produce growers and pork ranchers—or their clientele. So they rejigged the concept. 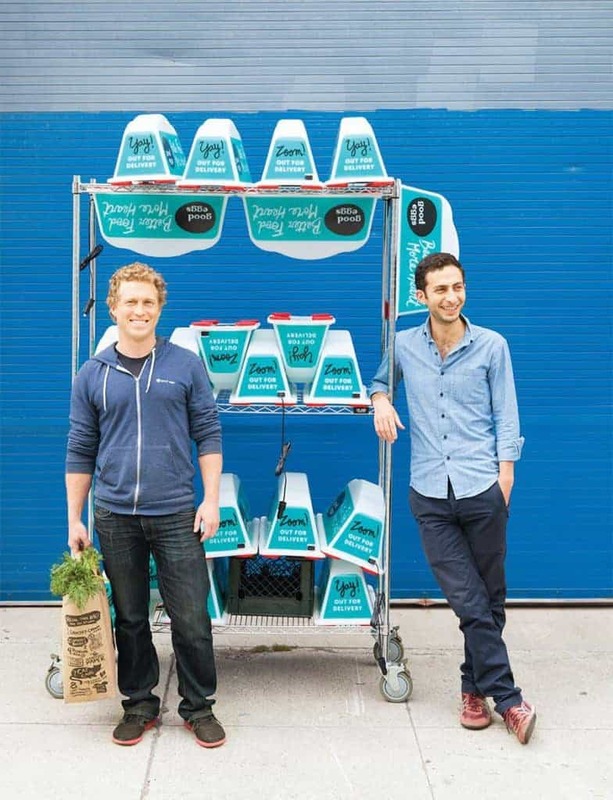 Beginning in February 2013 they revisited the Webvan distribution model with a fresh and crucial twist: Instead of a vast warehouse managing unsold inventory, they created a food hub holding presold product. They also hired drivers to deliver their brown-bagged goodies to hungry consumers’ doors and convenient pickup locations. They relocated from their Mission digs in summer 2013 as part of the shift. Their current 10,000-square-foot headquarters in San Francisco’s Dogpatch is a hive of activity. Farmers and food producers swing by to drop off orders, packers busily fill bags, engineers sort out programming bugs, customer support staff at stand-up desks tend to the needs of shoppers, while a line of logoed vans wait out front, ready to deliver. The alluring scent of an Indian lunch spread, cooked free for all employees by the in-house chef, wafts through the warehouse. The place sports posters spotlighting food partners, who exude a hip, healthy, wholesome, young, socially conscious vibe, just like the Good Eggs team does. This online storefront has found a core group of early adopters who care about the quality of their food and where it comes from. They include young families who eat most of their meals at home, childless culinary couples and a growing group of eaters with special dietary needs, according to Salant. CEO Spiro, who prior to founding Good Eggs developed the social search engine Aardvark and sold it to Google, declines to talk specific customer numbers. Here’s what he will share: The company makes money on every sale and it’s anticipated it will start turning a profit in San Francisco soon. Good Eggs is trying to crack markets beyond the bay. 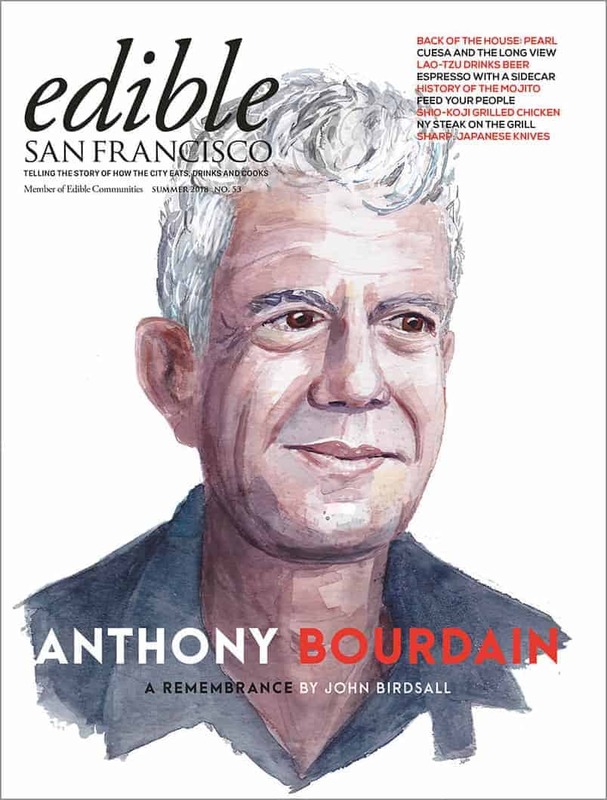 It’s now online in Brooklyn, Los Angeles and New Orleans. And following a $21 million influx of funds from Index Ventures in September, expansion to other cities is slated for 2015. The company has done well attracting investors: In 2013, it raised $8.5 million in funding led by Sequoia Capital, an investor in Webvan. Menlo Park–based Sequoia, which has also funded tech biggies such as Apple, Google and Yahoo, typically invests in around 12 projects a year of the 5,000 or so they’re pitched, says general partner Bryan Schreier. For Schreier, whose first job was flipping burgers at a Wendy’s, the partnership with Good Eggs was a no-brainer. Good Eggs is growing steadily: It claims more than 600 vendors in four cities, with over 200 in San Francisco alone. It currently employs more than 200; half of their team is in the Bay Area. In 18 months of food hub operation the company has moved 1.3 million pounds of local food in its four city locations. On the consumer side, this user-friendly site aggregator offers a charming, carefully curated selection of food produced by a wildly photogenic assortment of growers and makers. The tricky, tedious back-end software stuff isn’t apparent. Consumers can simply order produce, dairy, baked goods, meat, seafood and prepared foods from disparate local sources with a few clicks. Good Eggs guarantees free delivery, for orders over $30, within two days. “I love the variety, the quality, the convenience and the transparent and responsive customer service,” says Michelle Tam of Palo Alto, who shops on Good Eggs one to three times a week and spends anywhere between $50 and $150 per order. Tam cooks at home most nights for her family of four. 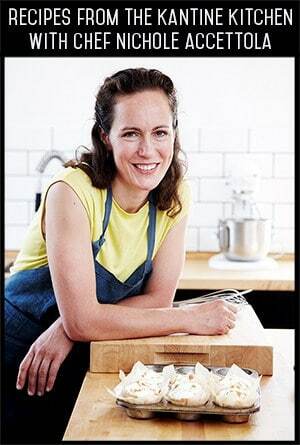 By day this bestselling cookbook author tests recipes for her popular food blog Nom Nom Paleo. So she makes a lot of food. The service offers higher-quality, fresher produce than a conventional supermarket, with better pricing than a farmers market or specialty food stores, says Spiro. For instance, the average prices for comparable items on Good Eggs are about 10% lower than Whole Foods, he claims. On the supply end, producers benefit from better margins than they might secure through other channels, such as CSAs, farmers markets or supermarket sales, he adds. Once selected as a “good egg,” producers can set their own pricing, products and delivery options. Typically a producer makes 40% to 60% in revenue from a grocery store and around 60% to 75% from a farmers market, says Spiro. Usually the Good Eggs site takes a 30% cut, leaving 70% for the producer, though the company takes less for lower-margin categories like protein. A half dozen producers contacted for this story waxed positive about the partnership. Other producers echo Wood’s sentiment. “Good Eggs sales have allowed us to buy full loads from fishermen, rather than having to split loads of fish with other producers. We sell to around 100 customers per week,” says Anna Larsen of Siren Fish Co. “They do take a fairly high percentage of sales, but that number is presented up front, so you can build that fee into your costs,” says Larsen. In its effort to build efficiencies and ramp up to scale, the operation is back-end heavy. The company constantly creates apps to manage sourcing logistics and delivery to customers. They update their software 12 times a day. Moving food is both difficult and expensive: Much of it is perishable and gathering it takes time and transport. Good Eggs is gambling on pre-selling and on-demand fulfillment to eliminate waste, cut costs associated with inventory and otherwise streamline the Internet shopping experience. What’s missing from online food shopping? The actual sensory experience of tasting peaches, touching avocados and smelling melons. And conversing with farmers, producers and fellow shoppers. Absent, too, for many is the affordability factor. Few lower-paid working folks are likely to choose a $45 pie, $15 jar of jam or fork out $195 for a juice cleanse kit (albeit 24 bottles), all of which are for sale on Good Eggs. But one single mom, Leslie Santos, on board since the beginning, has found a way to make the service work on a budget. Good Eggs is actively looking for ways to reach low-income customers. The company is partnering with the U.S. Department of Agriculture to develop a pilot program under SNAP (Supplemental Nutrition Assistance Program, informally known as food stamps). The company has applied to the USDA to build the first online food-stamp-friendly grocery program, which it plans to make available through open-source channels. It’s also experimenting with a digital version of Market Match, which gives farmers market customers who use federal food assistance benefits double their purchasing power. 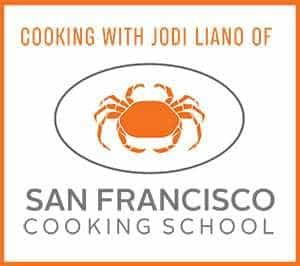 A prototype program, developed in concert with local community groups such as the Tenderloin Development Corporation and Cooking Matters, is in the works. In the R&D phase, there are many kinks to work out and challenges to address, including access issues and cultural and income relevance. Where Good Eggs is intent on overhauling the food system, Instacart is perfectly content to work within the current grocery infrastructure. And that model is working well for them. Instacart got started in San Francisco in May 2012, and quickly became a national leader in digital grocery delivery. The service has succeeded by creating an ecosystem that includes existing food retailers, a community of contract, crowd-sourced, so-called personal shoppers who pick up and deliver from those retailers, and busy consumers strapped for time who want to cross one more chore off their to-do list. Founded by ex-Amazon engineer, Apoorva Mehta, the company has opted to leverage mobile apps and optimize logistics and steers well clear of costly warehouse models. The e-commerce company is expected to be in 17 cities by the end of the year; with continued expansion slated for 2015. It takes about two to six weeks to get up and running in a new city, according to western region general manager Heather Wake. While some may think Instacart is the go-to option for such staples as toilet paper, beer and ice cream, many of its customers buy fresh food through the service. It boasts being the only online grocery service that can shop in multiple stores and still deliver within an hour. That’s a selling point that makes other online competitors envious—and wondering how they do it from a financial POV. Instacart is poised to compete more in the fresh food market. In September, it teamed up with produce mecca Whole Foods, Instacart’s most requested shopping destination, says CEO Mehta. Some Whole Foods locations will even embed top Instacart personal shoppers in their stores, all with an eye to speeding up order selection and increasing customer satisfaction and delivery times. Also in September, Instacart partnered with FarmsReach, a social enterprise for-profit, which helps small and medium-sized farmers buy, sell and connect. The pilot program launched in three Berkeley farmers markets and Oakland’s Grand Lake market. It’s slated to roll out in San Francisco and beyond soon. 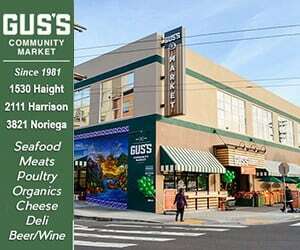 The company also partners with local grocery stores such as Rainbow and Bi-Rite in San Francisco and Berkeley Bowl in the East Bay, along with national chains such as Safeway and Costco. The bulk of their local market is in San Francisco, says Wake, though the East Bay is one of the largest zones across the country. 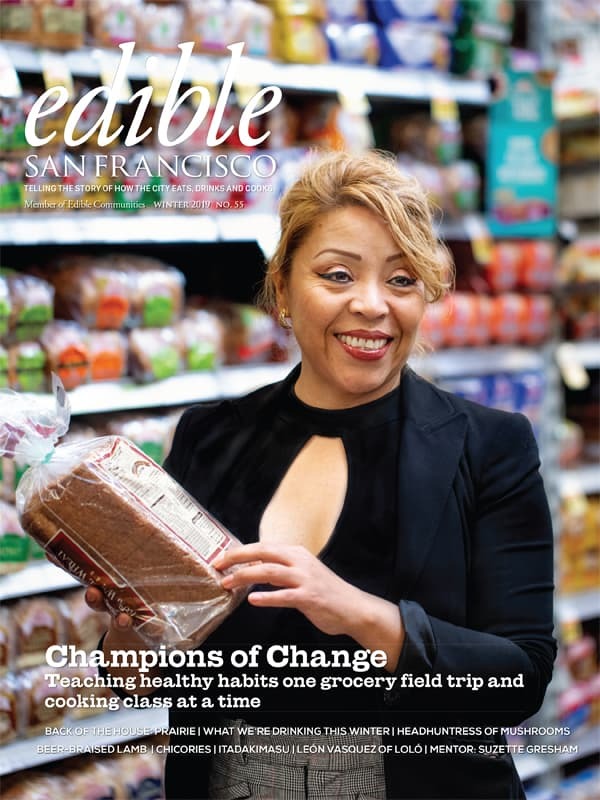 East Bay customers tend to be residential; in San Francisco more businesses do business with Instacart, though the residential market is growing. The company has 70 employees, and contracts with around 400 personal shoppers, typically college students, stay-at-home moms and retirees with flexible schedules. These independent contractors are paid on commission, and make between $15 and $25 an hour on average; they also accept tips, says Wake. Instacart has also benefited from a big VC infusion: It has raised around $55 million to date. For the privilege, online shoppers pay a small delivery fee, $3.99 for a two-hour delivery window; $5.99 for a one-hour drop off on orders over $35. They may also absorb price markups on some products but Wake declines to give any details on that score. A New York Times story earlier this year reported a 20% markup on most items. And judging by the company’s rapid rise, plenty of consumers are willing to trade additional cost over convenience. Instacart seems set on building growth versus turning a profit. That suits the venture capital set, which prefers to back businesses that risk expansion at the expense of economic fortunes—at least initially. It’s probably not surprising that an online food start-up with roots in the CSA world would create a digital food delivery service that features a community pickup location. “We’re going after the people who aspire to go to the farmers market every week but just can’t make it. It’s a virtualized cooperative,” says Farmigo CEO and founder, Brooklyn-based Benzi Ronen, on a recent visit to San Francisco. Ronen, who went to high school in Israel, volunteered on a kibbutz where his tall physique made him an ideal candidate for avocado picking. That cooperative model made a last impression, so, too did the fact that some big innovations in agriculture originate in that country, which is largely desert. Like Good Eggs, Farmigo allows online shoppers to order organic produce and local food products from multiple sources that are then packaged and delivered. But in Farmigo’s case, the brown bags head to a designated host site. The community model is a bit like a local buyers club: It takes at least 10 participants who commit to a central pickup location. Each host gets a 10% rebate on orders; it’s proven a popular school fundraiser. Rosen says the program appeals to families outside of densely populated areas; so it does better in Brooklyn and Berkeley than in Manhattan or San Francisco. Farmigo pays 65% of sales to the farmer, 10% goes to the host and the remaining 25% goes to the company. The 30-employee company has $10 million in venture capital backing. A typical sale is $50 and, like others interviewed for this article, Ronen won’t talk about specific customer numbers but he says the company is adding on host locations at the rate of about 30 a month in the Bay Area and New York. He calls what he’s doing economies of communities. Farmigo is what’s known as a B corporation, that’s a for-profit business with a social and environmental mission. Farmigo is a kind of hybrid in the digital grocery-shopping arena: It’s cutting costs by eliminating door-to-door delivery. Instead, it asks consumers to buy in and pick up some of the delivery and distribution costs by convening at a central location, typically a school, church or synagogue, community center or someone’s home. It’s a model that is well suited to more suburban locations, says Ronen, where home delivery costs could price online ordering out of reach. Which companies will emerge as dominant local online food providers? Food technology industry consultant Brita Rosenheim agrees. Even the embattled U.S. Postal Service is trying to get in on the action. In September it announced it had joined forces with Amazon in San Francisco to study the feasibility of partnering to deliver groceries to residents and businesses. The 60-day test, which began in August, delivers between 3 and 7 am, not exactly a convenient time among most customers but ideal for USPS trucks, which are otherwise idle during those hours. It’s probably safe to say few are betting on the post office to come out on top. Description: Online startup that connects consumers to local farmers and foodmakers. Home delivery or pickup options. Shopper fine print: Free delivery for orders over $30, order at least 48 hours in advance. Description: Instacart is a same-day grocery delivery start-up offering delivery in as little as one hour. Focused on delivering groceries and home essentials through store partnerships. Shopper fine print: Order on demand, delivery charge is $3.99 for orders $35 and over within two hours, $5.99 for orders within an hour and $9.99 for orders under $35. What they do: Digital service that sources local, farm-to-table food available via hosted pickup. Shopper fine print: No delivery charge, also no delivery: pick-up locations. Order within 72 hours.